This isn’t really a review of the whole X-Vamp unit. More of a discussion of a few of it’s useful features that would cost hundreds of $£ to buy as dedicated effects. Many guitarists have heard of people using the ‘stuck wah‘ as a kind of tone control. That’s easy as most wah pedals have a pedal controller. With phasers it’s a different kettle of fish, 99% of phaser pedals around have no expression pedal, they are either on or off! Also if they do have an expression pedal – is that pedal assignable to the phase rate? This magical X-VAmp unit I have can do this, and it costs less than £50! The unit allows you to set the phaser rate contol to be contolled by the foot pedal (other parameters can be assigned to the pedal instead if you want though). When the pedal is fully back the rate seems to actually stop so you get a stuck tone, sometimes it’s great sometimes it’s not, so you just ‘jig’ it (like rolling a dice, but with your foot) to get a new tone! I’ve demoed this idea, in my usual slapdash manner with a few diffent amp sounds and a few different playing styles. We have a bit of lead guitar, some rhythm and some clean funky stuff later on. I made up all the riffs etc except for the TV-Eye Stooges riff in the middle of the video. 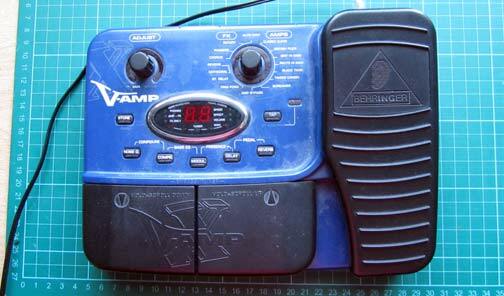 The other uses for the X-VAmp that are good for me are as a wah pedal, again utilising the foot expression controller. It does a pretty good wah effect with a decent range, which is configurable actually. Finally the other useful feature for me is as a tuner to get all my guitars and bass in the same tuning. I found a couple of rocker pedals that can do phase controlled by expression pedal; one is the Foxx Foot Phaser, looks good but costs 4X as much (£200), for one purpose, too much for me. Another are the Univibe pedal and tributes/copies/clones around including the Fulltone Mini Deja Vibe 2 (£289). Thanks very much for the review… And kudos on the creativity! Mind if we share this on http://facebook.com/BEHRINGER ? Hi Brian, yes, that would be great, no problem. I’ve enjoyed using the pedal very much. 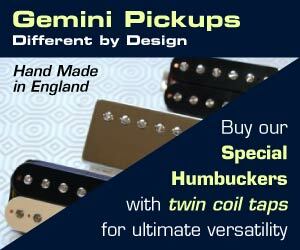 Can you like Guitar Design Reviews on Facebook? We are just starting and it needs a bit of a push!